Looking for that perfect gift but not sure what to get? Look no further. YAY CLAY! will be sure to make everyone happy. 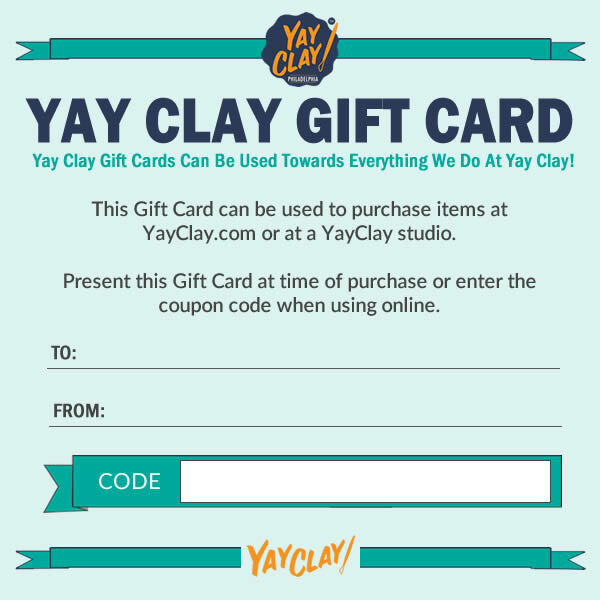 Our gift cards can be used towards everything we do at YAY CLAY! They can even be used to purchase our handmade pottery we have for sale in our studio. Gift Cards are digitally emailed to your recipient, with a personalized message from you. Manually enter any amount you would like.